Please see table below for size guide. For use when greater support is needed if your dog pulls while on the lead. 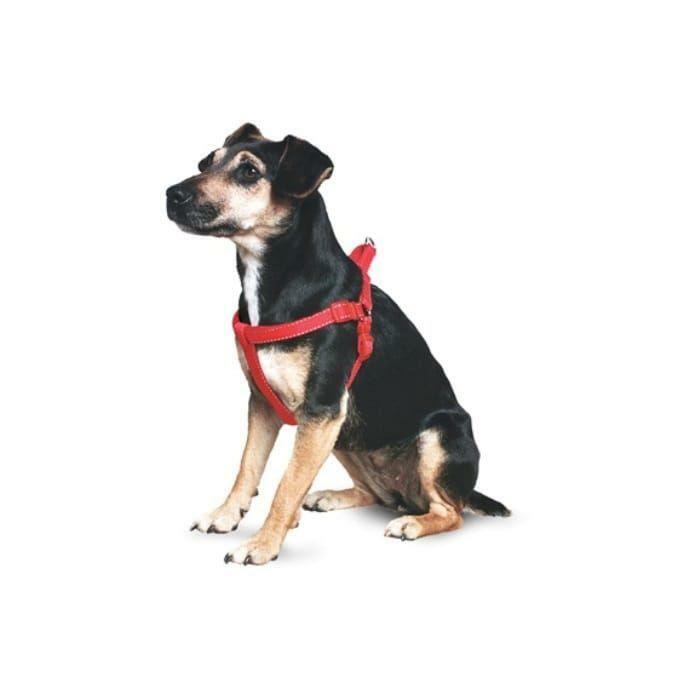 If your dog pulls slightly when out walking, a padded nylon dog harness offers more support for your dog than a collar.The harness will support the chest, shoulders and neck instead of just the neck in the case of the traditional dog collar. This can reduce rubbing that some dogs can experience. The breeds mentioned are for general guidance. For other breeds choose the type it most resembles in size. Please remember that these sizes are purely a guide and that dog sizes can differ enormously within each breed category.